Home » Blocks and introduction. I live in Edmonton, Alberta, Canada. I am married and have 2 children, ages 13 & 9. We also have two foster kids, a brother and sister ages 17 & 15. We have been parenting foster children for 15 years, we mainly have had teenage boys. I also work part time as a dental assistant/receptionist. 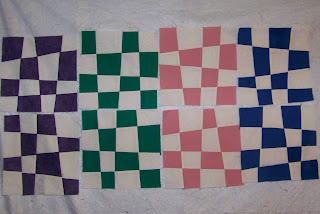 I have been quilting for 14 years, it is a way to keep sane in my crazy household! 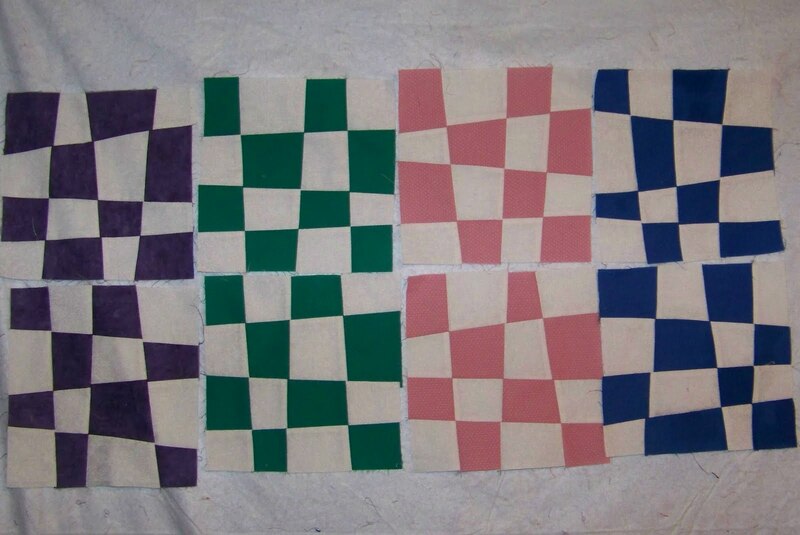 I make a lot of scrap quilts, I love scraps! My husband is supervisor of the Youth Emergency Shelter, a 16 bed facility for homeless youth, so I donate some of the quilts I make to them, and am hoping to do a pillowcase drive for them soon. I love making the rolled pillowcases and the shelter is always in need of bedding. I am very excited about the block lotto’s, I have been lurking on the site for quite awhile. I think it is a wonderful idea and a great chance to use up some of my growing fabric collection. Welcome to the block lotto, Vicki! It sounds like you live a busy and interesting life–I'm glad you found some time to play with us.